There is a Pack War going on right now between the two Vystrian packs, the Myr and the Vehn! Quick, choose a side and fight for your survival! Click the link above to go to the information topic, and sign your wolf up for the war. The Vystrian wolf is a wolf like no other, known to lead packs of intelligent wolves with great powers. On this page we will explore the Myr pack, Vehn pack, and Noss'a pack the three largest Vystrian wolf packs found in Felnova. The hellwolves of Kurai are the monstrous, elite demon-wolves who serve the Lords of their Kingdoms with loyalty unmatched. Many packs exist in Kurai, but each Kingdom has only one royal pack - and each of the four's unique makeup wll be listed here. 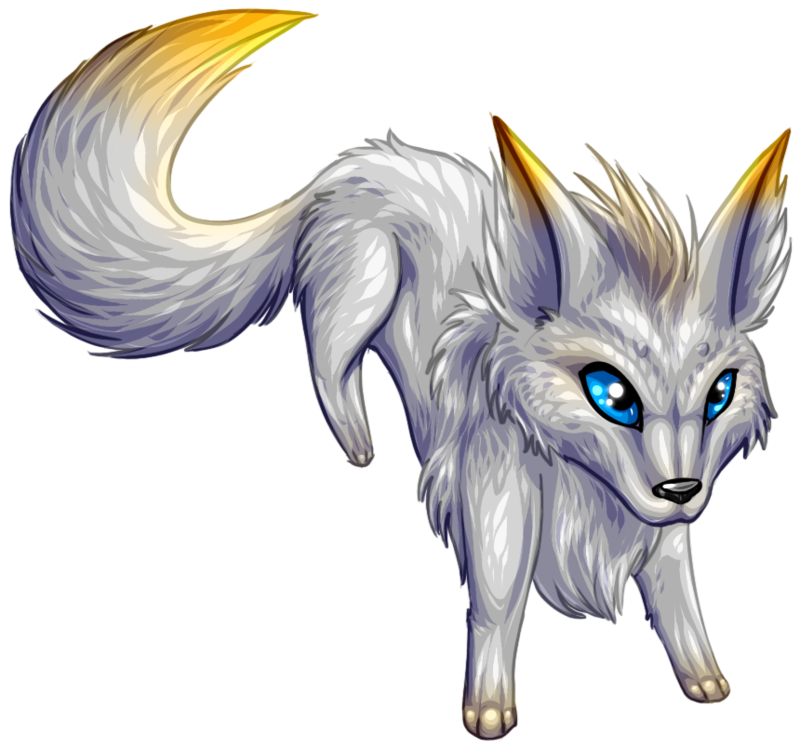 The Myr pack, governed by the Vhela and the Vhalen, is the largest group of Vystrian wolves located in Felnova. On the other side of the Darklights, their territory stretches from the mountains several hundred miles to the other side of the country of Vystriana, expanding into the northern desert stopping at the snowline, and down south far enough to reach the coast. a mother/nanny = the dam. wolves without drienar = the drienakk. 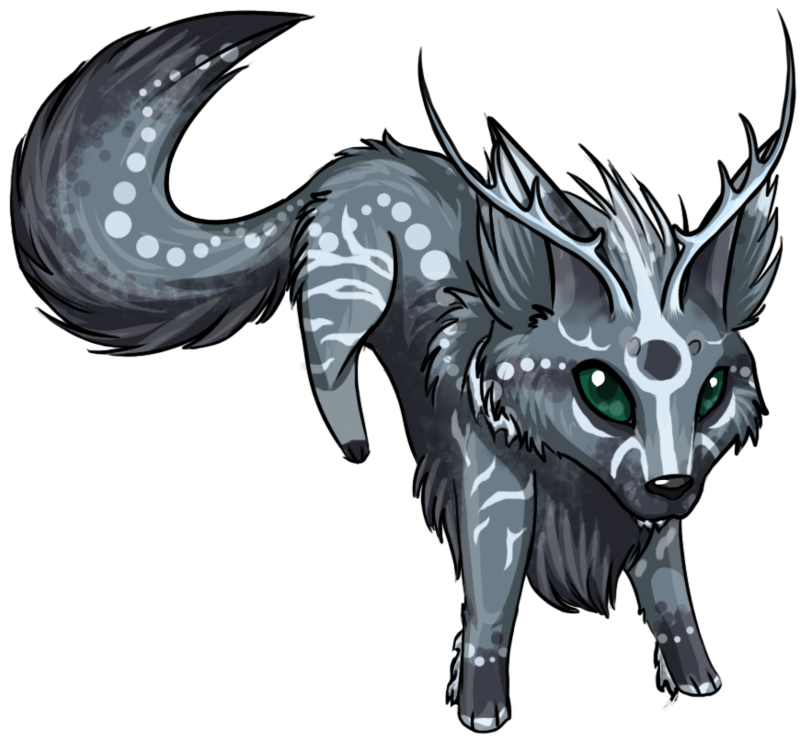 Vhalen;; Is the male Alpha of the Myr pack; mated to the Vhela, he leads and controls most goings-on in pack life. The Vhalen leads hunts and battles, a strategical war-leader and pack-hunter. In the event the Vhela is no more, the Vhalen will take over her duties. 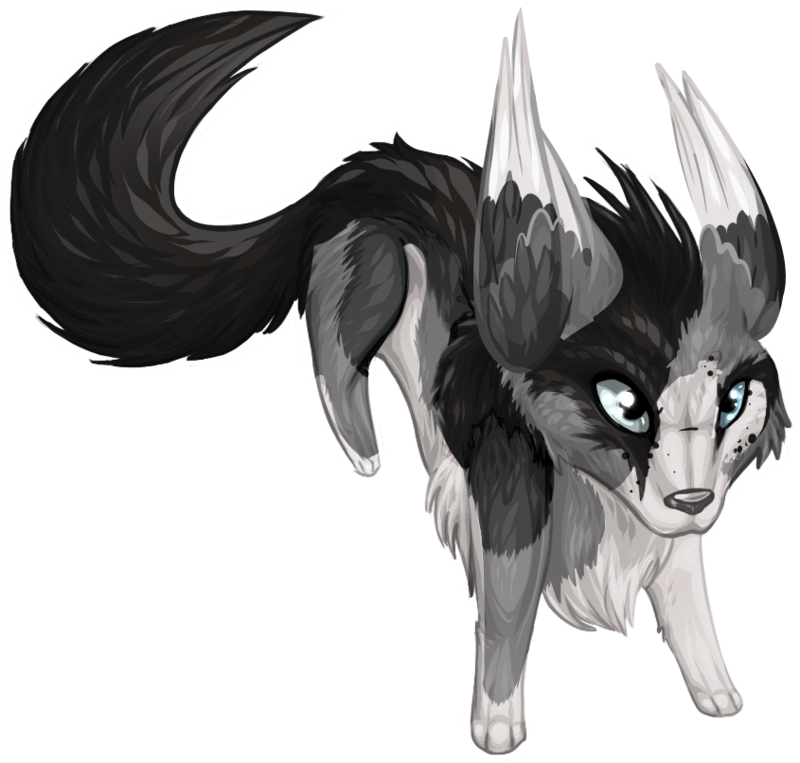 Vhela;; Is the female Alpha of the Myr pack; mated to the Vhalen, she leads and controls most goings-on in pack life. The Vhela governs pack ranks and discipline, as well as battle strategy and hunting times. In the event the Vhalen is no more, the Vhela will take over his duties. 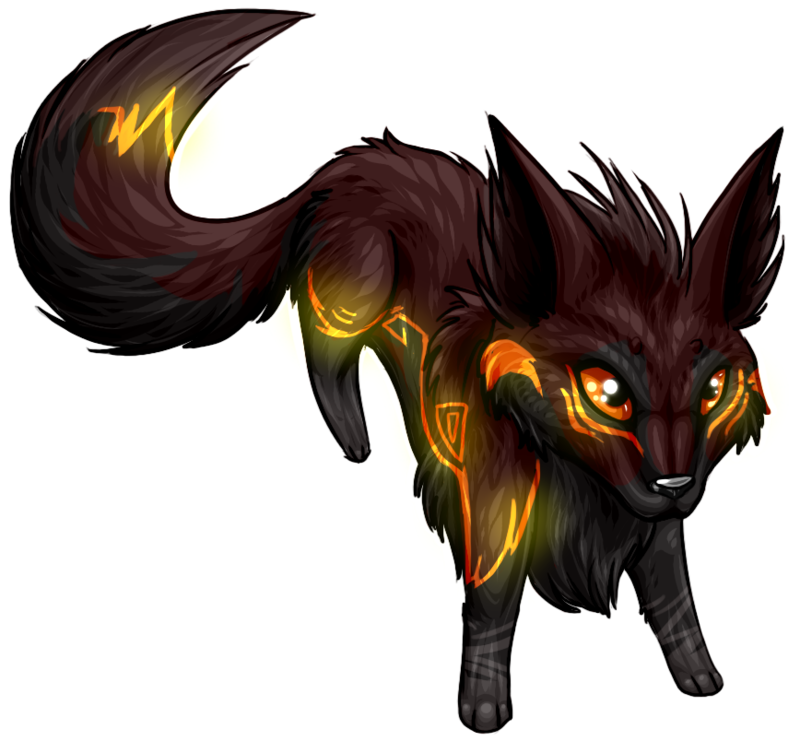 Firehn;; Is the Beta, either male or female, of the Myr pack. Acts as Alpha in the event the Vhela and Vhalen are unavailable or dead and an heir has yet to be chosen. Helps with disciplinary duties and upholder of the pack laws. the Elite Guard;; Are the warrior-wolves of the Myr pack, those that patrol the borders and fight during invasion or attack. Comprised mostly of Vystrian dires, they get special training by elders before being accepted as one of the Elite. the seer;; Is a wolf who acts as both healer and fortune-teller, whether they have the Sight or not. Usually only a healer with sparse abilities. In the event that they also have the Sight, acts as an advisor to both Vhela and Vhalen. the dams;; Are mothers and caretakers to pups one year and younger. Not a permanent rank. Guard the young until they become fully-fledged pack members. the drienakk;; Are wolves not yet granted a drienar. Usually ages one to two, or loners who've not asked Cirrus for an animal companion. Is also a term to apply to wolves who have lost their drienar. Pack members of the normal variety are called just thus; as are pups and elders. These are the hunters, the young wolves and the wolves too old to remain in service, but are still cared for and given due respect. In addition to these ranks, to hold their power and protect their pack, the Myr leaders must travel once every three years to Karkaras point and perform the Summoning, as part of a curse placed on the inhabitants in the Myrlands long ago. Raising a great beast created from a spirit-reaped Famine, or the soul of a wolf who has died without its drienar and controlled by the curse itself, they must battle it alone and only with their drienar. Once the beast is defeated - or the Vhalen and Vhela killed - the Famine will depart and the beast will be put to rest. If the leaders do not answer the call and Summon the beast, the curse will release it on the Myrlands with little restraint on its power, ravaging the land until there's nothing left. Only the Vhalen and Vhela may undertake this journey along with their drienar, lest they risk the curse's wrath. A drienar may be anything from a squirrel to a bird, a bat to a frog, a snake to a cat; but it may not be a wolf or large dog, a dragon bigger than the wolf companion or a humanoid of any kind. Powers are unlimited but for the fact that they must not exceed the wolf's own, and usually compliment eachother. As the one currently in charge of the pack, Kirad feels himself especially in need of a cheerful personality. He'll gladly assist anyone in the pack, though if it has to do with killing, he is known to be a bit squeamish. This pack war has put a strain on his generally pacifist ideals, but Kirad will fight to protect his pack, especially since talking hasn't worked thus far. It is known that he has a familiar, and although he regularly talks to and about a certain "Carl," very few have actually seen it. Thunderfang is an old kamine, the Firehn of the Myrs. He is trusted by his leader to do what has to be done during their leave. He had a mate named Sorrowsong at one point in his early years of life, but she died a long time ago. His drienar is a hawk named Laguna. Razya is a foxlike feathered she-wolf, the Seer of the Myrs. Her drienar is Breeze, a small mouse with a bejeweled collar. Short-tempered and aggressive, Isengrim is nonetheless content with a subordiante role in the pack. However, actually earning his trust, and his true loyalty, is difficult. But, if won, his loyalty is unbreakable, even unto death. Direwolf that he is, he towers over most wolves in the pack, if not all. Gallow is a loyal Elite who came from another pack long ago. He has unusual ears - acting as functional, yet vestigial, wings - and unusual hooves on his back legs. Unfortunately, he has no drienar anymore, as his spirit familiar was killed almost seventy years prior. His drienar was a tufted deer named Zilver. Karkaras is an Elite direwolf, mate to Razya. Despite his cold personality and sharp tongue, he is gentle to those he knows well and is highly protective of his packmates. He has three small children with Razya: Malyx, Etienne, and Viera. He shows a lot of promise and Thunderfang has noticed his future potiental for the pack. His drienar is a ferret named D'klar. 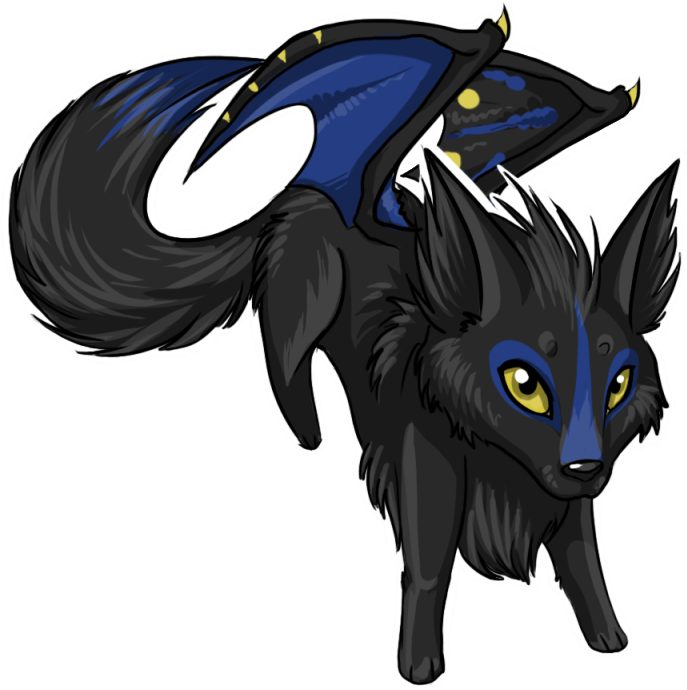 The eldest of Ayunaye's and Dargan's pups. Though fiesty and still young, Kallo is exceptionally protective of his denmates - he would do anything for his siblings. He has, however, developed a certain bitterness towards his father for having abandoned the pack for so long. His mother is his idol; seeing her in pain has developed within him a strong sense of duty in protecting her from all that harms. While he was driven to being on his own due to his abilities and has spent a lot of time away from the pack Varden has always considered himself a part of the Myr and one of the Elite. Trained by his parents to always be loyal to the pack first and foremost, he has always tried to conduct himself in a way that would honour the pack even in his darkest most fear-filled years. Now he has returned and is finding that fitting in is as hard as ever. Drey, though not as sharp as he used to be, is a fearsome warrior. Strengthened not by his own physical fitness but by his fierce loyalty to the Myr, Drey never plans to retire from his post as a guard. He’s more than willing to take younger guards under his wing, to teach them everything he knows. 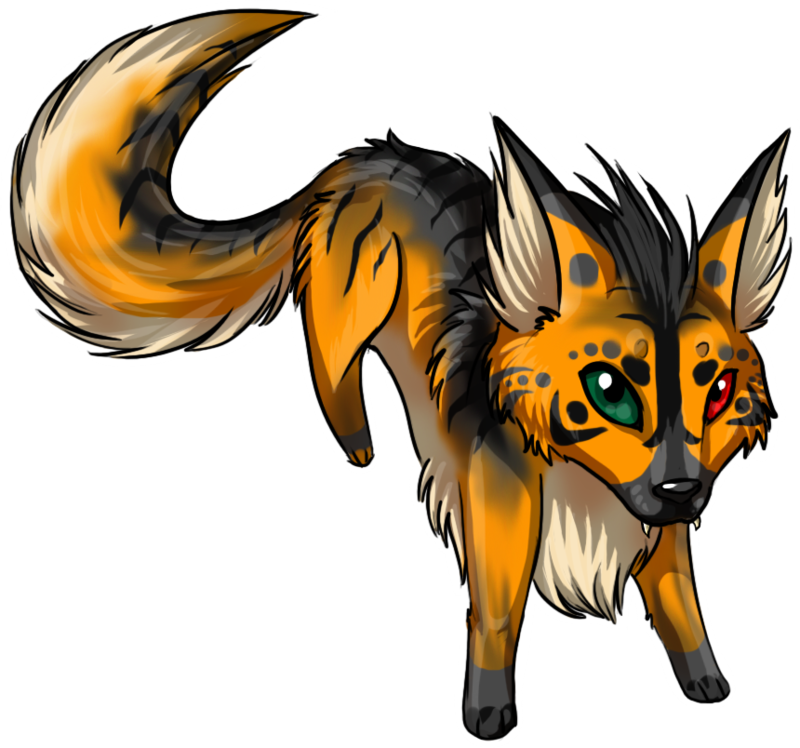 Roziel is a blind, but loyal, member of the Myr pack, and would do anything for the group as a whole. While his individual trust is hard to gain, once given it is nearly impossible to be taken. His drienar is a storm petrel named Zeal. Nefasi is a kind soul, with the guilt of her sister's death upon her shoulders. While she tries not to think about this, sometimes it does get to be too much, and she lapses into month-long times of depression. Despite this, she is optimistic, and tries to move on. Her drienar is a White tailed Jay named Serafin. Though young yet, it's doubtless that this young hellwolf mix got all of the ferality from her father, and left her mother's grace in the dirt. Siri is a powerhouse prettily wrapped inside of a shy exterior. She does not yet have a drienar. 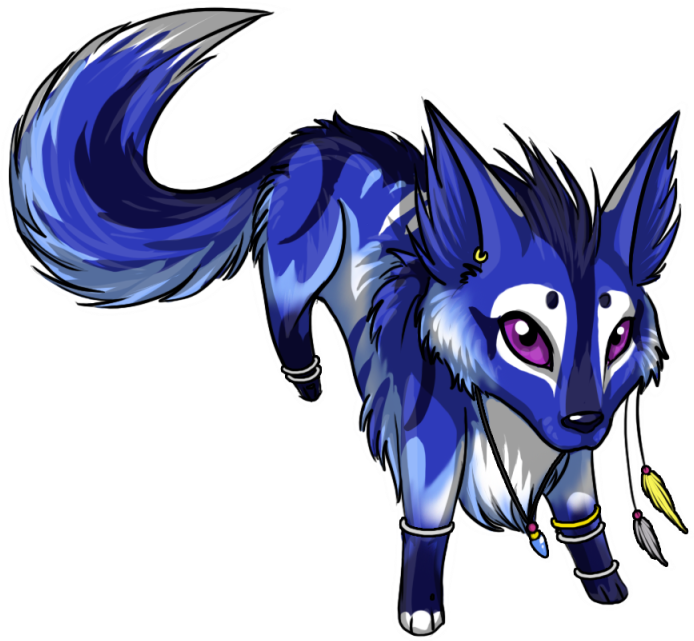 Pup of Ayunaye and Dargan. Inquire to adopt! Though Vryheid calls himself a wolf of the Myr pack, his true allegiances lie with Isengrim, Vryheid's current Wielder. A new member of the pack, he'll track anything for his new family. 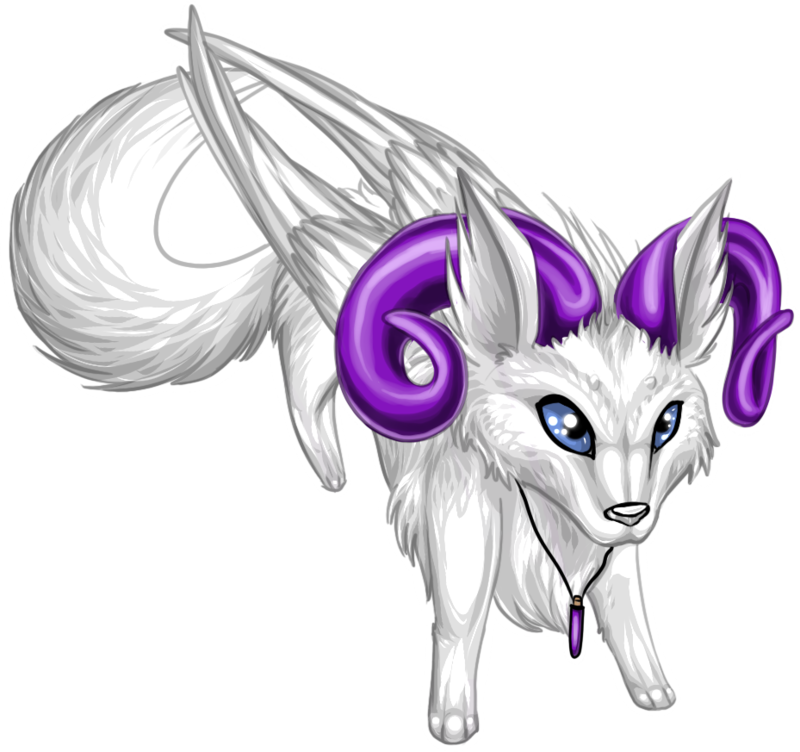 His familiar used to be a white ferret he called Snowfire, but due to circumstances moved on to the Spirit Realm before him. He won't fight, but he is more than slightly overprotective of the weaker members of the pack. After Godshome was taken by the Faction, Myth had no-where to go and wanted little else but to try and move away from the events that had lead to the fall of Godshome. But ones past is rarely that easy to avoid. Lex is a friendly, socially awkward, and enthusiastic wolf. They are known to be a bit lazy but do mean well and normally wish no harm against others. 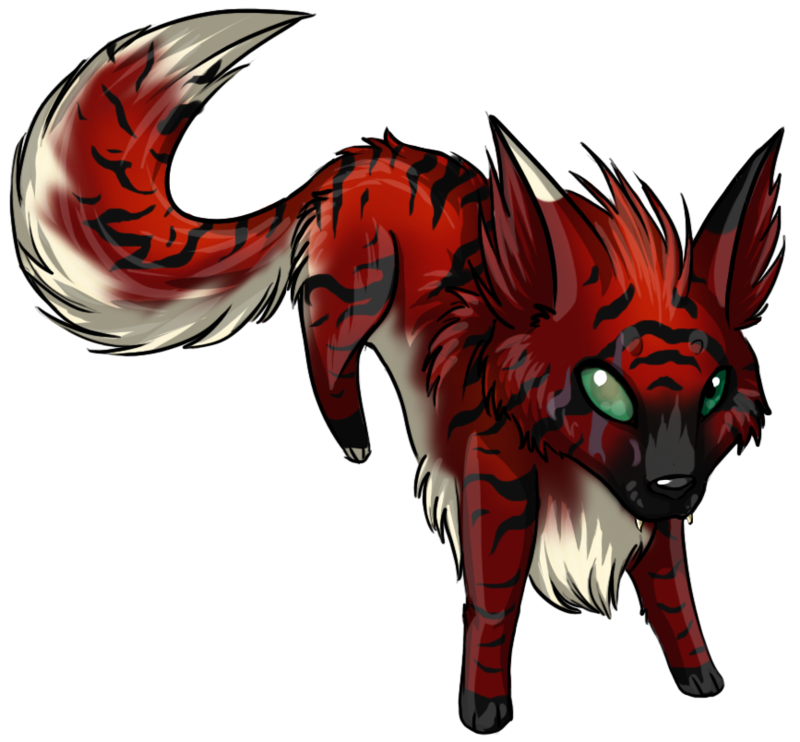 A bit of an oddball, they find themself joining the Myr pack after wandering into their territory. A sensitive soul, they aren't quite sure how to interact with the new community around them. Their familiar is a brown ferret with bright blue eyes named Allen. Lex is also seemingly without magic, (though this is subject to change.). The Vehn wolves, a pack holding territory to the north and east of Icemark, is a smaller pack of wolves adapted to the ice and snow. Shunning many who bear wings and are not of Vystrian wolf blood - hybrids included - this pack is led by their wise Tradon. Some are bonded to a drienar-like companion animal, though not all, called the freya. fighting pack members = the Guard. hunting pack members = the Hunt. wolves with freya = the karr. 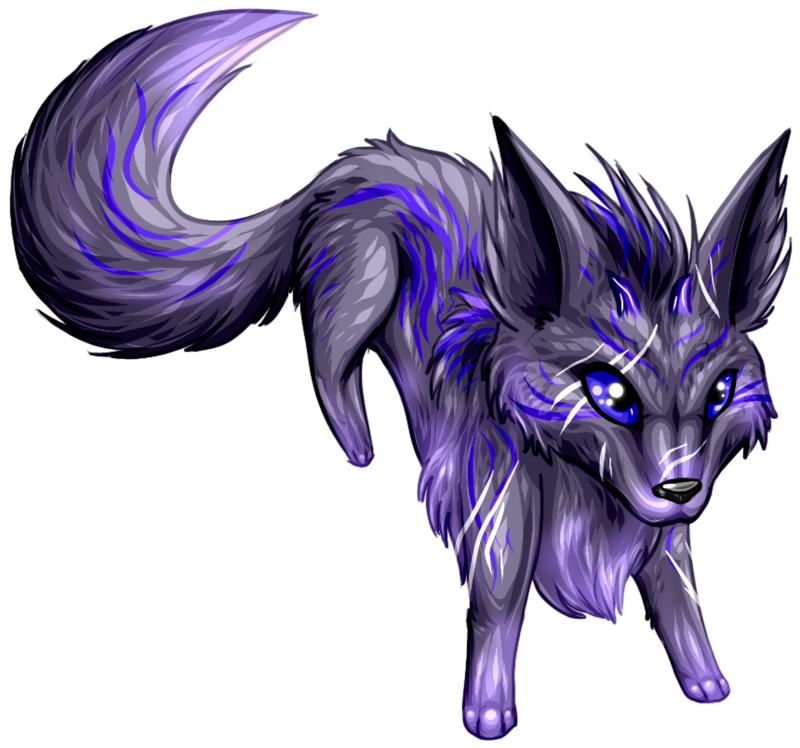 Tradon;; Is the male Alpha of the Vehn pack; mated to the Tradae, he leads and controls most goings-on in pack life. The Tradon leads hunts, battles, controls ranks, builds strategy; every element in the inner workings of the pack. Tradae;; Is the female Alpha of the Vehn pack; mated to the Tradon, she leads and controls most goings-on in pack life. The Tradae is the Tradon's mate - and only that. There is no current record of a Tradae ruling alone. Bretak;; Is the Beta, either male or female, of the Vehn pack. Acts as Alpha in the event the Tradon is unavailable or dead and an heir has yet to be chosen. Helps with disciplinary duties and upholder of the pack laws. the Guard;; Are the fighting wolves of the Vehn pack, those that patrol the borders and fight during invasion or attack. the Hunt;; Are the hunting wolves of the Vehn pack, those that patrol for food and bring back prey. the karr;; Are wolves granted a freya. Usually over the age of two. 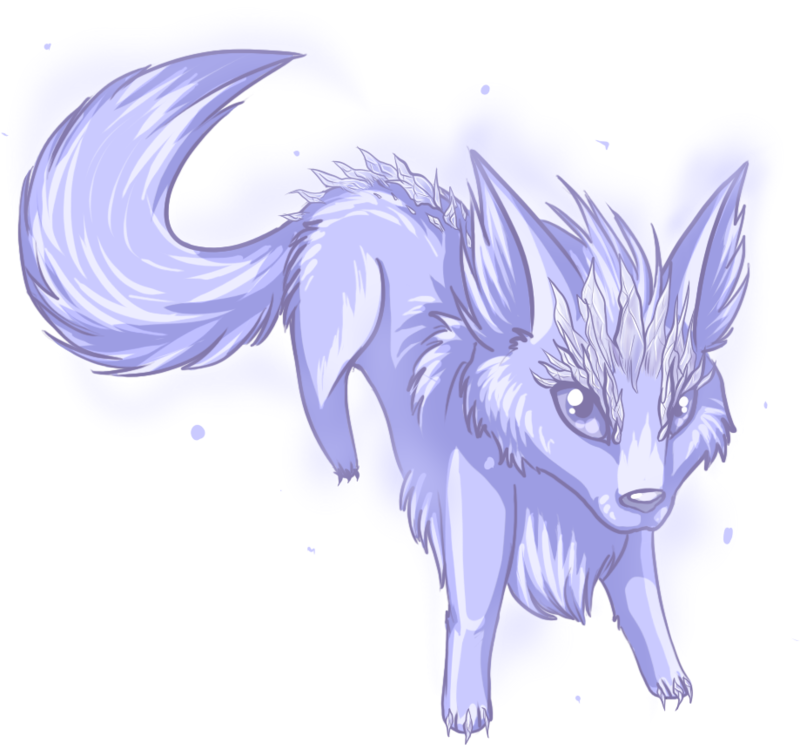 Fimbulvetr is, in many ways, a living embodiment of winter in a wolf's body. As outwardly cold in temperament as he is cold to the touch, he is nonetheless a stalwart ally, if an aloof one. However, to those who take the time to get to know him, he presents an entirely different face completely at odds with his cold exterior. A raging flame, Cynzalia is the antithesis pairbond to her mate Fimbulvetr. With her burnt off wings constantly providing pain to be angry at, most of the troublemakers among the Vehn are convinced to behave when threatened with being subject to her fiery wrath. She can often be found arguing with her Freya, Flynn the lizard. In spite of her rage, she can be quite insecure of her place among the Vehn due to being aware of her reputation, her curious element, and the fact that she once had wings - all things that make her stick out like a sore thumb among the pack. Bretak; he led the Vehn as their Tradon during the attack on their homeland conducted by the Summoning, and taught them how to hunt and survive in the great icy north. A savage leader, he was nonetheless strong; and remains so, seeking a new Vehn leader to uphold his promise to Var. His freya is a bobcat named Tarrant. The Tradon before his son took the title and was killed by Var; Moku's grandfather. An older wolf that respects their current leader's power and sympathizes with his ideals, he nevertheless give his loyalty to his grandson, Moku, and would follow the golden wolf to the ends of the earth. With a reddish coat streaked with black, he blends easily with the stone of his forefathers' ancient homeland; the hard red rock of the Repentance Desert. His freya is Quran, a red-tailed hawk. 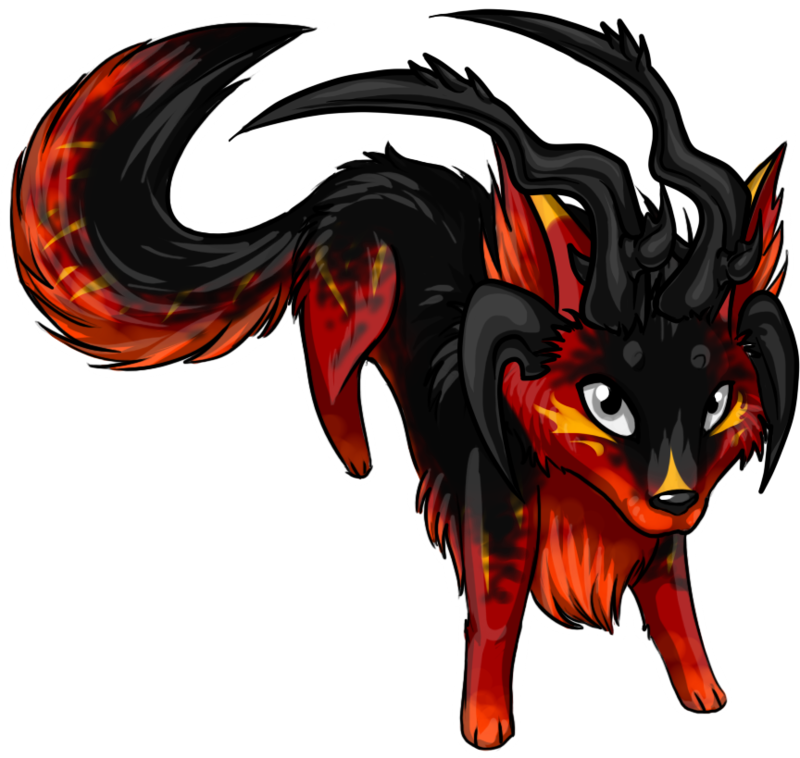 A great fire-wolf with horns that curve from the top of his skull out over his back, Favron was said to have been fused with the soul of a fire-elemental at birth. Oftentimes he sets various items on fire without realizing it (including his own freya, who has gotten used to singed fur), and enjoys alighting small lizards and reptiles near aflame. 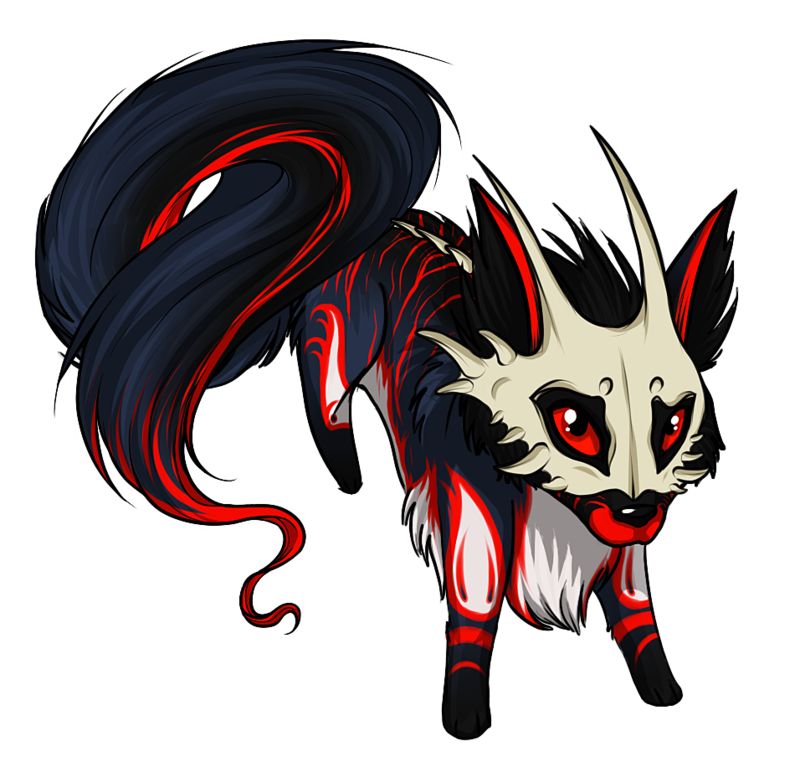 He is one of Moku's loyal followers and mistrusts Var greatly, though not to an ultimate extreme as Vybria and Moku do. His freya is a red squirrel named Ifrit. Son of Rulos and once-heir to the Vehn leadership, Moku is a young male with startling golden fur and powers over wind. He holds Vehn honor above everything, and loathes Var for the destruction of his pack, seeking to taint the former Tradon's memory in any way he can. He wants to uphold the old traditions, and has not a few followers; a cunning strategist, he will go to almost any length to achieve those ends. A she-wolf of considerable pride, Vybria is as vain as she is bright. She has fur more befitting of the middle of a dense jungle than the snowy forest, tufted ears and a lanky build. A purist extreme, she loathes Var to the point of attacking him on occasion, and supports Moku with all her heart. She is also the pack's biggest flirt, and - before the great massacre - had many pups with various males. Unfortunately, nearly all of her offspring were killed, and very few survive. Her freya is a serpent named Rukkbeth. Despite being woefully out of place among the Vehn, winged hybrid that she is, Aeterna nonetheless does everything she can to keep her fellow pack mates healthy. Although she isn't much of a hunter, she is an exeptional healer, and protector. But, despite her power, she rarely stands up for herself. Kindhearted and gentle, Golfyn is a silver and black female with three young pups. Her mate was killed in Var's massacre not long after she conceived them; months have passed now, and as they grow, her fear of the Vehn leader grows ever stronger. Her greatest fear will be that she will lose her pups in the same way she lost her mate. Her freya is a mockingbird named Ta'wny. Skilled in nature magic, Haru would do anything for the Vehn, and is very capable in defending herself. She is strong enough to kill, so don't let her looks deceive you. 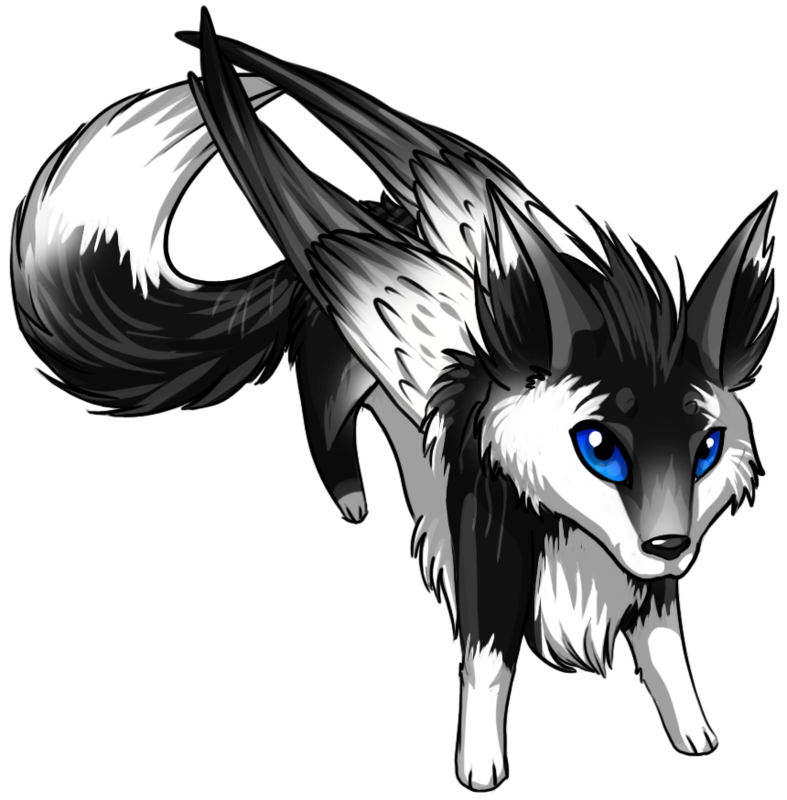 Settled in the mountains of Alubria, the Noss'a pack is one of winged wolves and kamine. Each one is granted a winged familiar at birth - called neither drienar nor freya, these are most often birds, bats, feylizards or - rarely - specific types of insects. Those who are granted something that cannot fly are seent on their way, seen as a bad omen by the rest of the pack. beta = the Warchief (or Warchieftess). fighting pack members = the Warriors. hunting pack members = the Hunters. head healer = the Shaman. Chief;; Is the male Alpha of the Noss'a pack; mated to the Chieftess, he leads and controls most goings-on in pack life. The Chief leads hunts, battles, controls ranks, builds strategy; every element in the inner workings of the pack. Chieftess;; Is the female Alpha of the Noss'a pack; mated to the Chief, she leads and controls most goings-on in pack life. The Chieftess is the Chief's mate, but may also take control of the pack alone. Warchief;; Is the Beta, either male or female, of the Noss'a pack. Acts as Alpha in the event the Chief is unavailable or dead and an heir has yet to be chosen. Helps with disciplinary duties and upholder of the pack laws. the Warriors;; Are the fighting wolves of the Noss'a pack, those that patrol the borders and fight during invasion or attack. the Hunters;; Are the hunting wolves of the Noss'a pack, those that patrol for food and bring back prey. the Shaman;; Is the respected head healer of the Noss'a pack. Generally gifted with the Sight as well. Pack members are split into either the Hunting group or the Warriors. Elders are very well respected, and are held above all but pups in times of need. A highly arrogant and vicious she-wolf, Elentari is a stern, but valued leader, taking pride that her pack is elite above the rest. She is unrelenting and fierce, with a fiery temper and abilities over water and weather. Her familiar is a stellar's jay named Quetzalli. Mate to Elentari. Please inquire to adopt! A pack that worships death, and holds the ability to kill above all. The Thanatos Pack, as they are called, are seen often as dishonorable by other hellwolf packs, but have their own, strange code of honor every wolf is expected to follow, lest the N'gua send their souls to Lethias for judgement. Kills are strictly regulated, though are much more common than the other Kingdoms' royal packs; the 'Hunt' is restricted to certain times, variable to the extreme, seeming chaotic and unpredictible to outsiders who are not privy to the Thanatos' inner workings. Every night, weak demons can be culled and weak hellwolves dispatched (within the royal pack or in other packs; they do not discriminate). Daytime culls are heavily punished, and rarely forgiven. Once each month, there is a certain day where the entire pack can target much stronger demons and non-culls, as a show of the royal pack's and royal family's power over the citizenry. A reminder of their might. This particular day is decided on by the Lord (or the Tuthan/Tutha if the Lord is unavailable), and nobody knows it before the day itself happens. Likewise, Death hellwolves are encouraged several days of each month - similarly scheduled - to press beyond the Kingdom's borders, and take the lives of those straying too close. Borders between packs are tense and dangerous, and confrontation between packs is common. A pack member's death, be it from within or without, is often honored and ritualized - only those criminalized by the pack will be slain without honor, torn to shreds and marked, unburied and unburned, to lay in a stinking corpse until the Lord decrees it be taken away. Death is seen as a return to the Mother Wolf, Lethias, and her judgement means everything to a Death hellwolf's long life. To anger Lethias is to forfeit one's life itself, and render one's soul corrupt and unworth the honor of a true and noble end. the 'Faint' = simply called the Faint. * No true equivalent in a traditional pack; their name means 'Deathhand' though often referred to as Wraiths even by members of their own pack. Tuthan/Tutha;; The leaders of the pack; equal in strength and in total control. Often vicious and ruthless, answerable only to the Lord and no other. N'gua;; Three elite 'wolves who act as the masters of discipline in the pack. They will kill anyone or anything upon being ordered to by the Tuthan or Tutha, and are perhaps more feared in the pack's ranks than the leaders themselves. Tey'che;; Elite, shadowy assassin-wolves who are often absent from pack society as a whole. Nothing is known of them aside from the fact they are in the direct service of their Lord, and often appear to the alphas with outside news before disappearing once more into obscurity. Xel'ua;; Ruthless hellwolves put in charge of the younger, more impressionable pack members; some seem to almost enjoy leaving scars on their students, and are often arrogant and egotistical to an extreme. Nhan;; The multitudes of regular members of the Death pack. Specialize in both offense and defense, and make up the majority of the pack. The Faint;; Elders, pups too young to train, the injured and sick, as well as any healers who might tend to them. Often watched by the Betas closely, and any who grow too old and feeble, or too weak from injury and sickness, are slain by them. The result of Icarath's experiments with empyrean procedures. A ruthless, persistent hunter. Possesses ejectable spines, a morning star tail, two heads, and a look that can kill (literally). Serves Lethias unquestioningly, but a small spark within his trapped spirit starts to itch everytime he sees Icarath. A formidible, yet somewhat clumsy, hellwolf of the Death line. Having been made fun of for his false wings much of his life, he still perseveres, and is loyal to both his Kingdom and his pack. 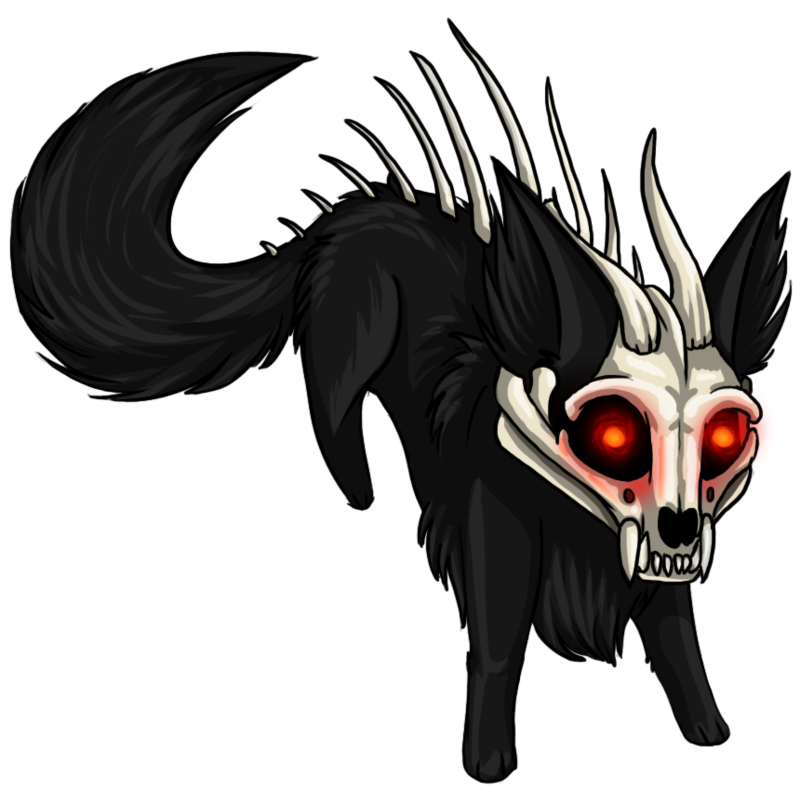 A hellwolf who is nearly indistinguishable from a walking corpse. The subject of past experiments, he is nonetheless completely loyal to Death Kingdom. He has lost all connection to the concerns of living, breathing wolves or demons, leaving him with a very skewed view of reality. One of the most important and varied parts of Famine's military, the legendary Kuhtals have made their mark on Famine history many times over. Led by the Lord's Fangs, they are divided into several sections based on specialty, and every wolf has a task. Elders and pups are the only hellwolves not sorted by these subdivisions, and young 'wolves are often sorted just before adolescence. The Lord's Fangs is comprised of the Ridann, or alpha; the Rida, or the alpha's mate; the Buron, or beta; and then each leader of the various divisions. All of the Lord's Fangs have 'Fang' after their rank title and before their name - so a possible alpha name might be Ridann Fang Noran, or Rida Fang Jezelia. alpha = the Ridann Fang. alphess = the Rida Fang. beta = the Buron Fang. heavy assaulters = the tankuu. magical attackers = the majii. All divisions, from the tankuu to the iishi, have this structure. Tankuu;; The largest and most powerful strengthwise in the pack. not much magic, but easily the best fitted physically for the task of first attackers in any war. Very, very fast, and quite strong. 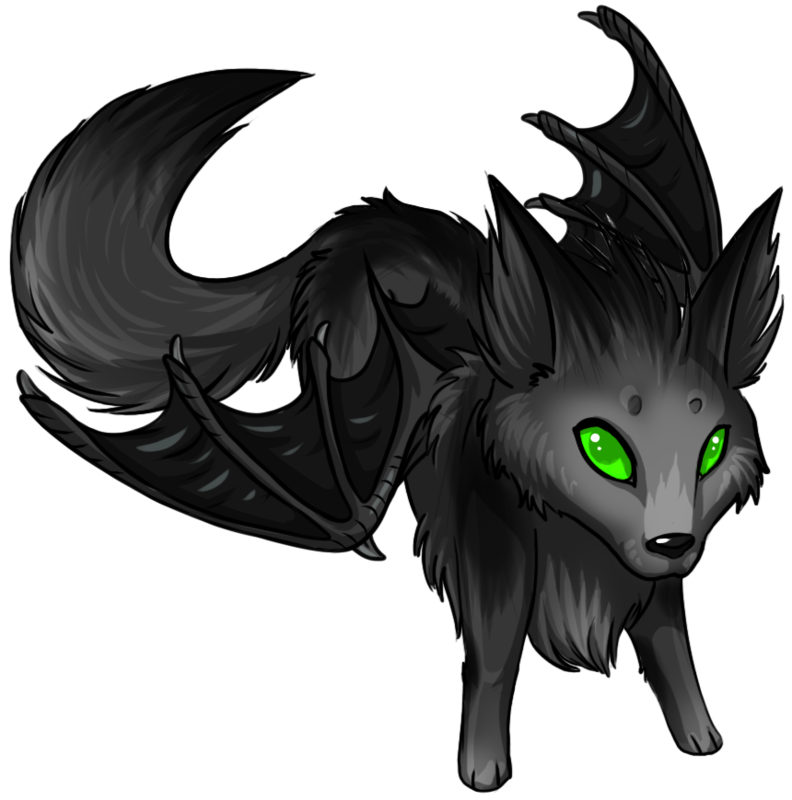 Majii;; Any hellwolves that are very adept at offensive magic go in the Majii. Most are not strong physically as a general rule, but are very strong mentally, and have great magical capabilities. Fuuri'ra;; 'Wolves who are neither physically strong or magically adept, used to attack weak points in the enemies' defenses, usually the sides while the front is occupied. 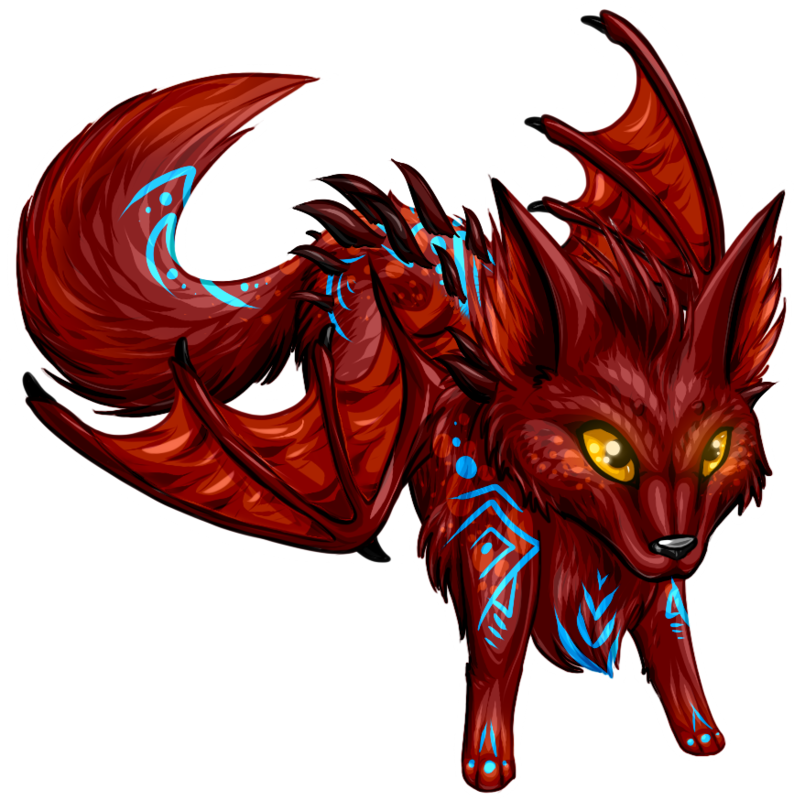 Irshudu;; Any hellwolves that are either physically or magically adept at defense. Members of the Irshudu, or shield-wolves, can build barriers or take a lot of hits without falling; usually have some sort of healing gene (physical) or barrier/defensive magic (magical). 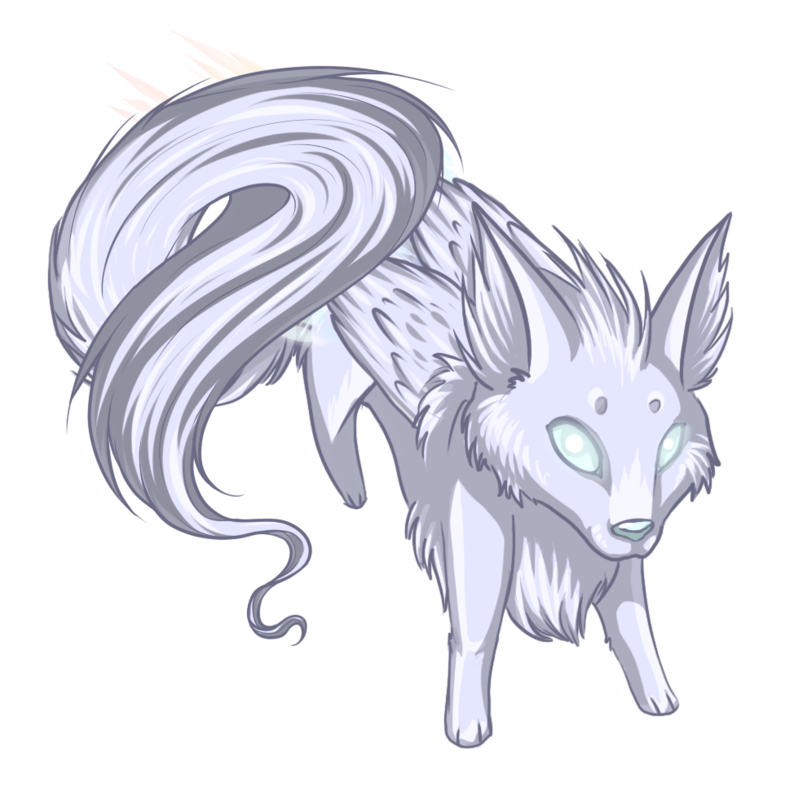 Kuikku;; The Kuikku serve as scouts, messengers, and watchers; 'wolves who are very fast and can fly long distances at a time, usually known for their speed in reports, deliveries, and other such tasks. Iishi;; Hellwolves that rarely fight, but serve as healers and support, physical and emotional. Often are aligned with the element of light, or some other way of healing (magical or conventional). Hellwolves in the royal pack of the Kuhtals are one of the most prolific races found in the Famine Fortress; this is where their pups are born and raised, their pack members are trained, and where the Fangs generally reside. 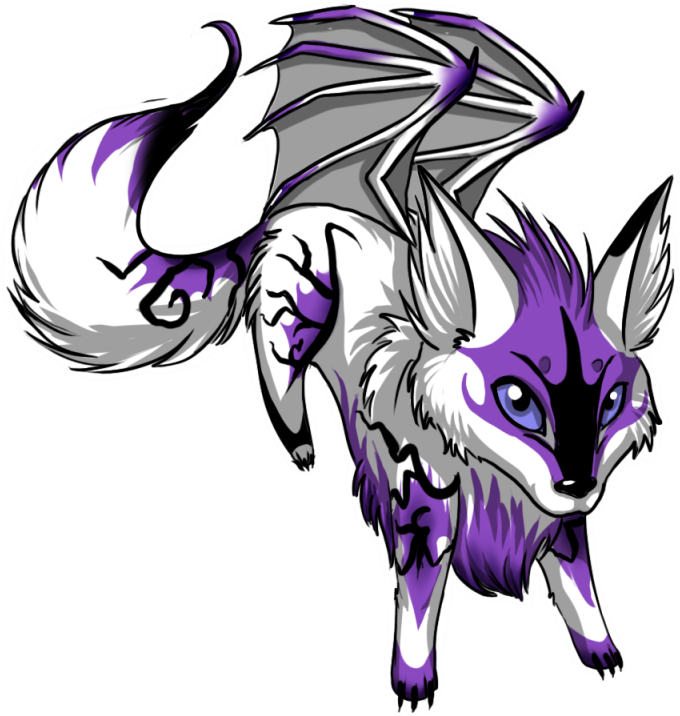 The rest of the pack is spread throughout the Kingdom in pairs or triples that are often rotated, overseen by the Ridann Fang. Smaller packs of each division might be sent to aid various parts of the Kingdom, and some are assigned to some ninja villages, in times of crisis. While his loyalty to his Kingdom, his Lord, and his pack is unquestioned, Garza’s unpredictable nature and often whimsical behavior mark him as a bit odd by typical hellwolf standards. He has a penchant for chatting excessively while fighting, and doesn’t seem to fear much of anything. The Pestilence royal pack, called the Shino-Kaze Pack, is expected to be a flexible and semi-independent force within the larger structure of the Pestilence military. While they are expected to obey orders without hesitation, initiative is encouraged, and if successful, rewarded. The Shino-Kaze 'wolves are provided with everything they need by the royal family, allowing them to focus entirely on their duties. * There is no true equivalent for this particular class; a description of these (and the other ranks) are explained below. 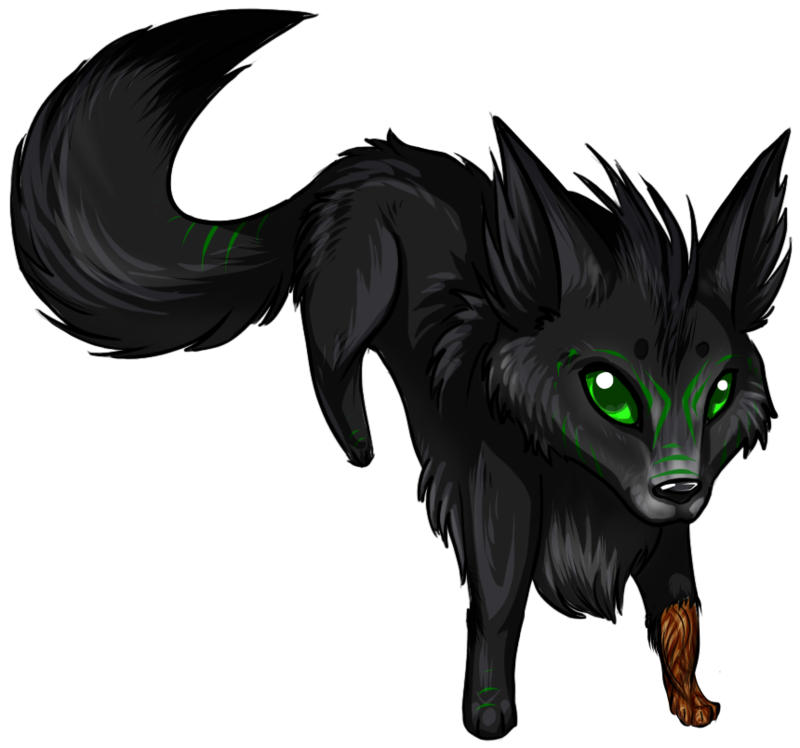 Saisho-kami;; As the sole leader of the Shino-Kaze pack, this 'wolf is typically the most cunning of all Pestilence hellwolves. Can be either gender. Often allowed broad discretion when it comes to organizing the royal pack. Niban-kami;; The Niban-kami is typically the Pestilence 'wolf with the greatest endurance and dependability, expected to work in tandem with the Saisho-kami and ensure any orders are carried out. Can be either gender. Senchineru;; Hellwolves of the Senchineru, or sentinels, are typically stationed all along the Pestilence border in small packs, ordered to keep watch for any intruders. Any they spot are shadowed and reported on until they can be dealt with appropriately. 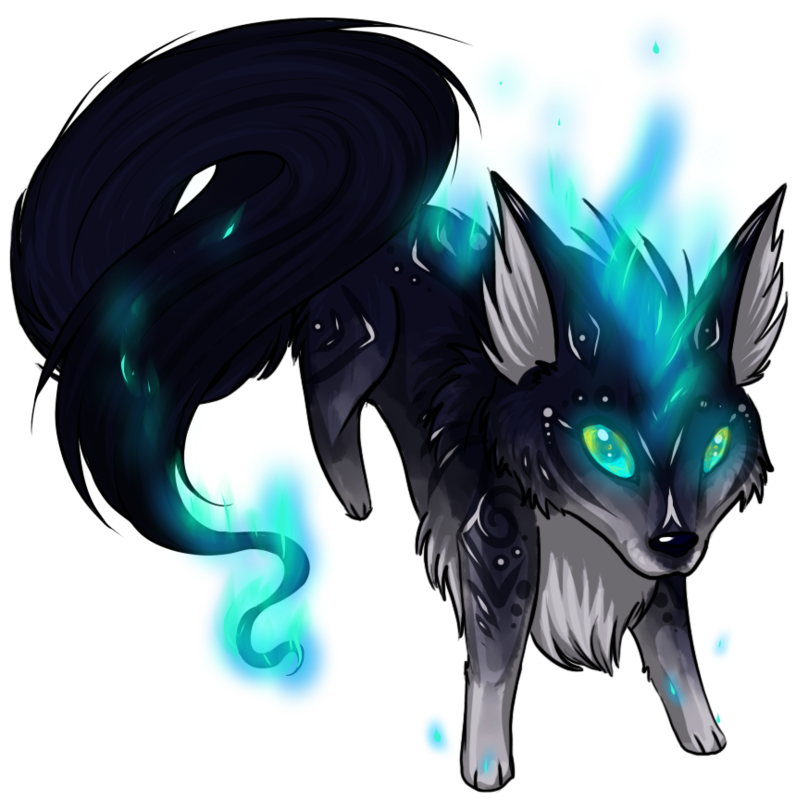 Senchineru 'wolves are selected for their greater than normal levels of endurance, and outpace any pursuers, often releasing toxic fumes to further discourage any pursuit. Zensen;; Zensen 'wolves join Pestilence demons on the front ranks of battle, either harassing distracted foes, or engaging them directly so their comrades can take advantage of the distraction they provide. 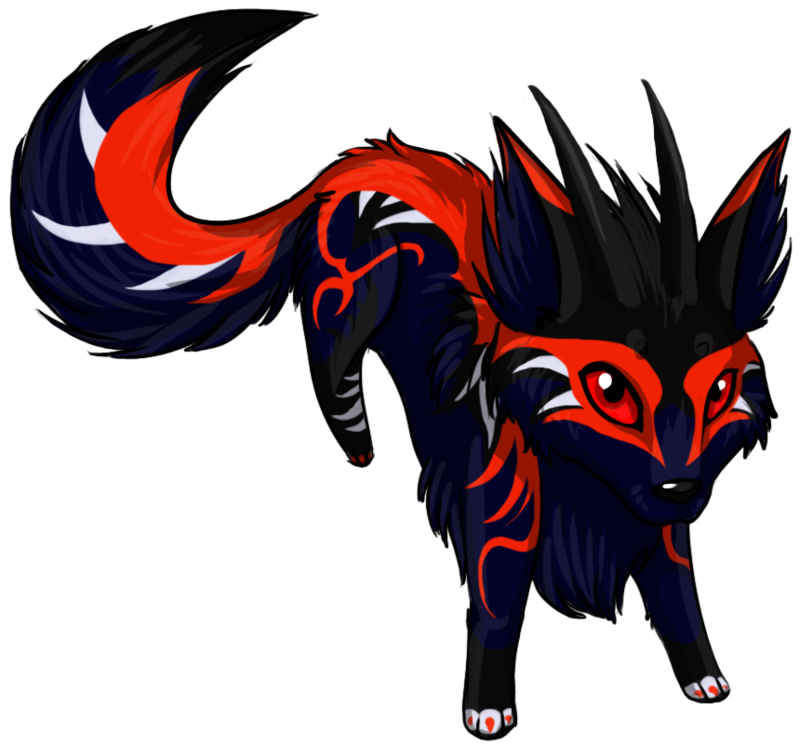 Many of the Zensen hellwolves have highly venomous fangs, claws, spikes, or spines. They train constantly so they can last for hours in a fight. The strongest of the Zensen wear specially forged suits of armor to allow them to fight in the thickest parts of battle. These suits of armor are typically covered in spikes and sharp ridges coated in various venoms. Machin-Shin;; Some of the most feared of the Pestilence hellwolves. Dying or disgraced 'wolves given the chance to serve their Kingdom one final time, these wretched beasts are filled with a lethal cocktail of venoms, toxins, acids, and diseases, and released towards their enemies, whereupon they charge headlong into the thick of their foes before their bodies abruptly explode in a cloud of poison. Ketsuryu is fast, agile, and has enough venom to kill lesser creatures in seconds. Fiercely loyal, she will do anything for her kingdom. In the Seifuku Pack, strength and loyalty are valued over all other characteristics. These hellwolves have a high level of discipline - orders are followed without question; dissent is shot down and dissenters are usually killed. Weak pups are also left for dead or eaten by the pack. There are no elders, as weakness in the pack is not tolerated. Ryo;; The alpha of the pack; always male. 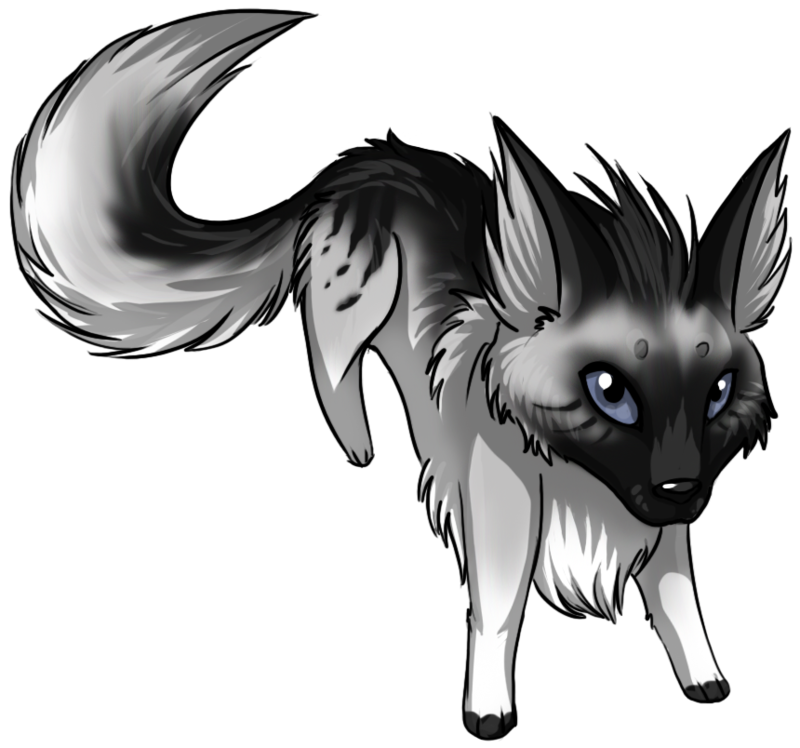 Namari;; The beta of the pack; always female. 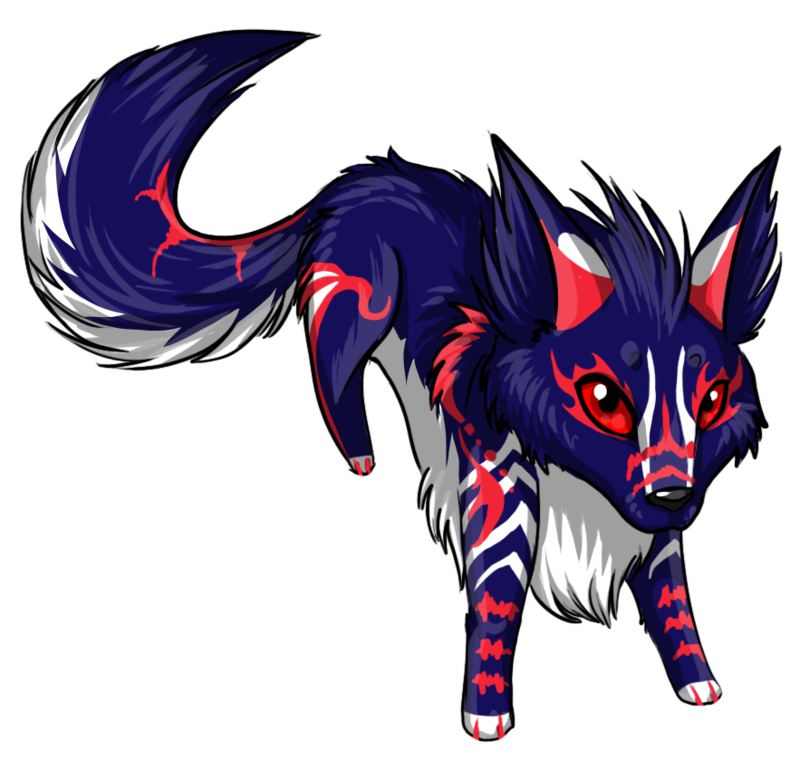 Hatari;; Usually only one or two; these 'wolves consult with Ryo or Namari for the best training tactics, pack formation, and other such duties in battles and hunts. Hei;; They make up majority of pack. Powerful, tanklike 'wolves that are hand-picked by the Ryo and Lord to serve in the pack from puphood. Loyal to a fault. Trained from the beginning for all tactics, including defense, offense, agility, power, etc. 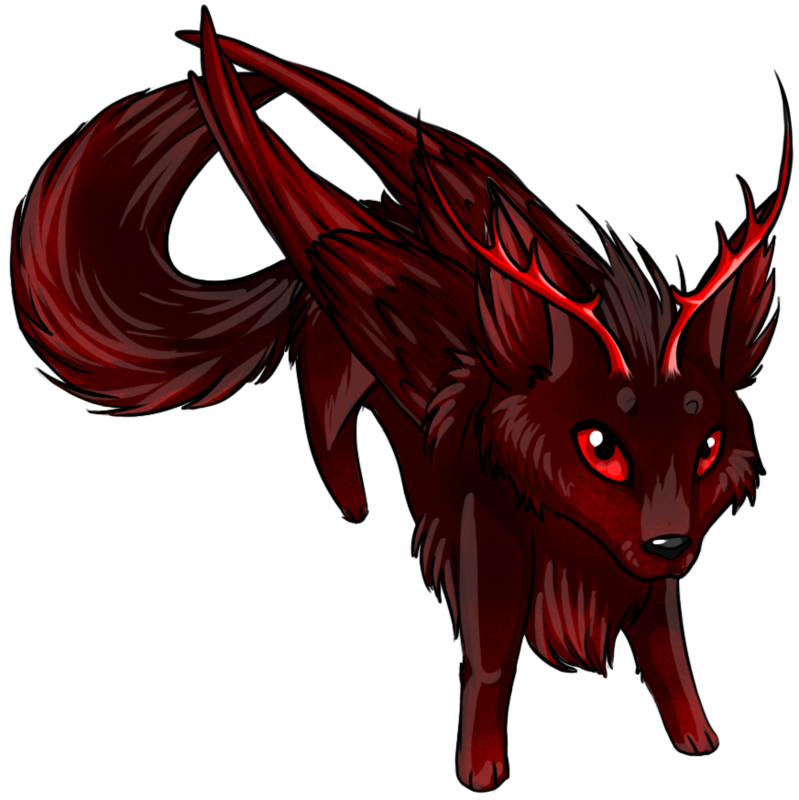 Kariu;; These hellwolves number fewer than five wolves that hunt in a coordinated unit to feed the entire pack. All of the Seifuku Suru can hunt, but these are highly efficient, specialized hunters that can bring down lots of prey quickly so that the others can spend time training and patrolling. Lean, quick, agile, stealthy, but still well-muscled and strong. 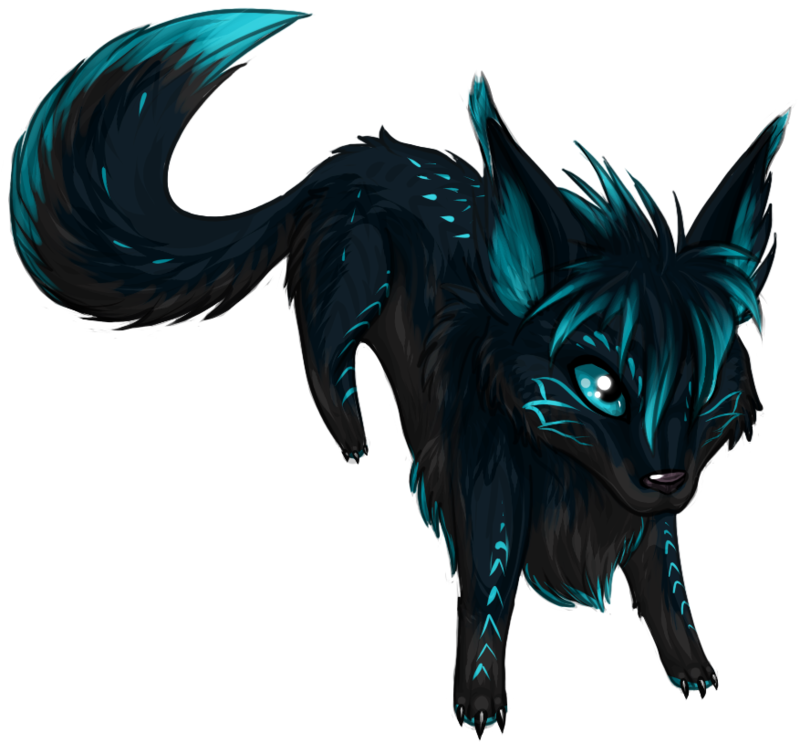 Majii;; 'Wolves that have strong long-distance magical abilities. Can be anything from shields to attacks. Usually around three wolves with honed, sharp skills. 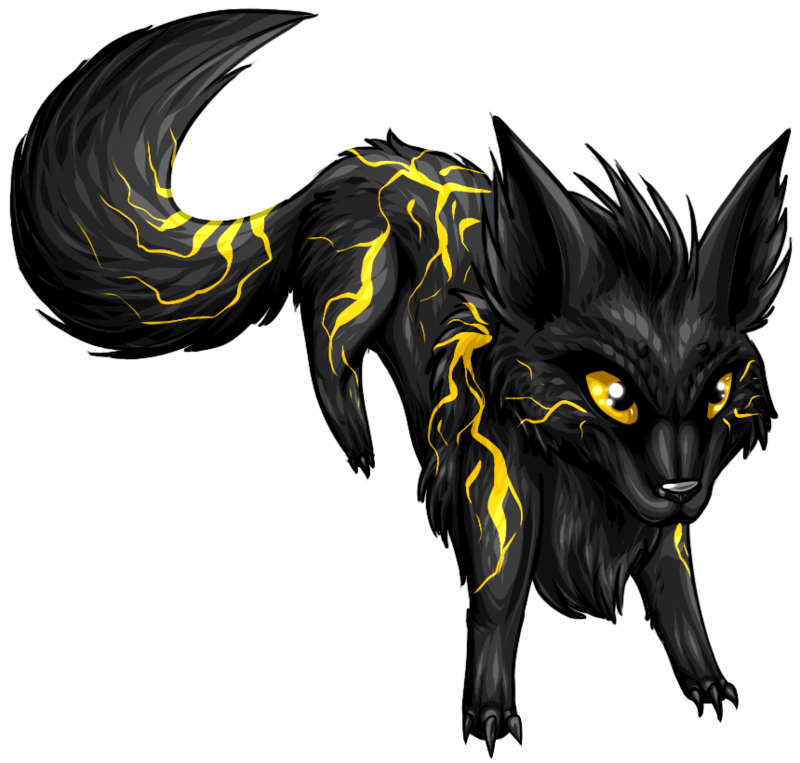 Each demon mage (in the War military) has a hellwolf that acts as a powerbank, supplying extra energy to prevent overtaxing when working or fighting. Iishi;; Generally only one; two if one is being trained. This wolf heals injured hellwolves if the 'wolf is worth saving. If not worth it, they will kill the hellwolf so the pack can eat and take strength from its fallen comrade. The Ryo and Namari are like an alpha pair, but power is concentrated in two rather than three or four members. Fiercely loyal to her pack, even if she doesn't much like killing her own pack even if they do wrong. She must eat or become sickly, so eat she will on whatever is available. Dusk on the other hand would not care who or why cause, "I get to kill things". Wolves that currently have no pack. 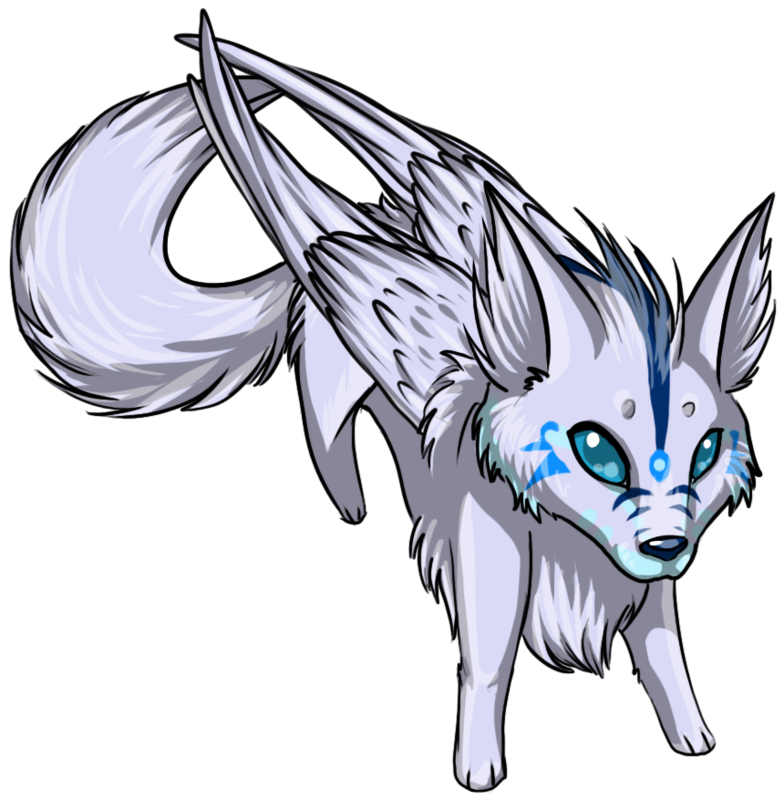 Ayunaye Skypaw once served as the Vhela of the Myr pack. With her blue jay drienar, Raighn, at her side, she once ruled with a kind and compassionate air, seeking only to lead her pack down the road of peace. Now, she is a wanderer, and has recently fallen in with hellwolves, much like her lost love.